One of the most critical foreign policy challenges President-elect Donald Trump will face in the early days of his administration is what to do about the nuclear saber-rattling that continues to emanate from Pyongyang. Ringing in 2017 with a New Year's Day address, North Korean leader Kim Jong Un told the world that the year ahead would see North Korea test an intercontinental ballistic missile (ICBM), perhaps one capable of reaching the United States mainland. Because North Korea denies most information to the outside world, no one knows for sure if Kim's claim is true or if North Korea possesses the technological know-how to launch a missile on a suborbital trajectory and have it return to Earth on target. Last year, it tested its intermediate-range missile, the Musudan and failed seven out of eight times. Whether successful or not, an ICBM test by North Korea would be very much against U.S. interests and Trump should act to counter it as early as possible. A turn to the basics of deterrence would be the path most likely to succeed. For deterrence to be effective, the U.S. should make it clear to North Korea that no benefits will flow from an ICBM test. For deterrence to be effective, the United States should make it clear to North Korea and its autocratic 32-year-old leader that no benefits will flow from an ICBM test — that it will neither empower the regime nor advance its nuclear capability. When North Korea threatened ICBM development in 2006, former Defense secretary William Perry and Ashton Carter, who now holds the job, recommended that the United States destroy any test missile on its launch pad. 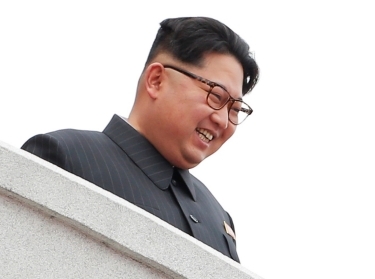 That plan, however, was considered too escalatory and raised fears that North Korea might respond by firing artillery at U.S. allies in the region, like South Korea or Japan. Instead, Trump could announce a plan to use U.S. missile defenses to shoot down any test ICBM after its launch. A shoot-down of North Korea's test vehicle would be a spectacular demonstration of the futility of the regime continuing to pursue its nuclear ambitions, and far less escalatory than dropping bombs on North Korea. At the same time, the Trump administration could threaten to undermine the regime's power through new information operations if North Korea tests an ICBM. He also could pressure China to intervene, though President Obama and former president George W. Bush had similar hopes and China never delivered. But China may be more willing to intercede with North Korea if it knows that the United States is prepared to take major action against the Kim regime to stop its testing of ICBMs. 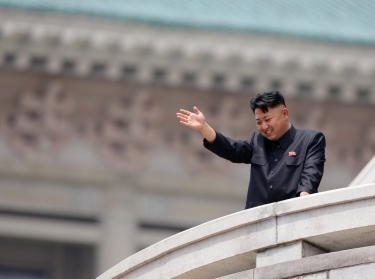 Kim has parallel goals in pursuing nuclear weapons. One is to distract his people from the many economic and social failures of the Kim family regime by showing the world that North Korea is a nuclear peer of the United States. The other is to demonstrate his ability to strike the United States with nuclear weapons. He hopes to thereby coerce U.S. agreement to a peace treaty with North Korea to end the 1950s Korean War, which could lead to an eventual withdrawal of U.S. forces from South Korea. Without U.S. forces in South Korea, Kim might be emboldened to pursue the only form of reunification he supports — North Korean conquest and absorption of South Korea. While a test is merely a test, if Kim orders enough of them during 2017, the North could succeed in resolving the many problems its missile program has encountered. That's why a strong U.S. response is needed now. There clearly are risks to any response that could provoke the mercurial Kim, but the risks of allowing North Korea to have a proven ICBM capable of carrying a nuclear payload are far greater. If even a single nuclear-armed North Korean ICBM were to strike a U.S. city, it could kill or seriously injure several hundred thousand Americans. Trump should be clear on how he would respond, not just to the threat of attack, but also to the tests that could make such an attack possible in the future. 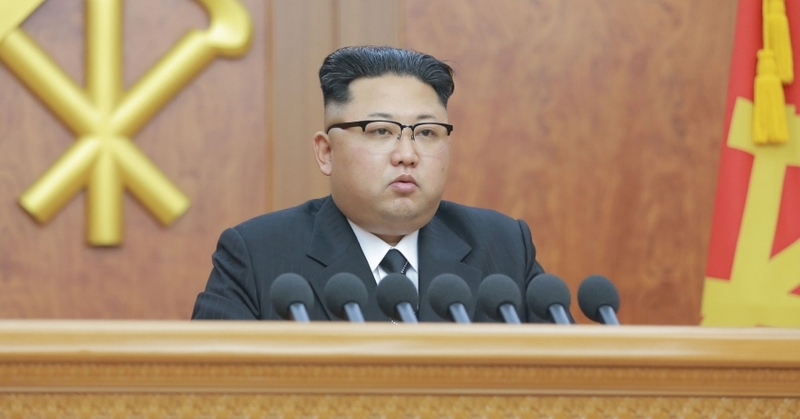 Kim should know that testing ICBMs will bring no benefits, but will instead extract costs. Bruce W. Bennett is a senior defense analyst at the nonprofit, nonpartisan RAND Corporation. This commentary originally appeared on USA Today on January 5, 2017. Commentary gives RAND researchers a platform to convey insights based on their professional expertise and often on their peer-reviewed research and analysis.